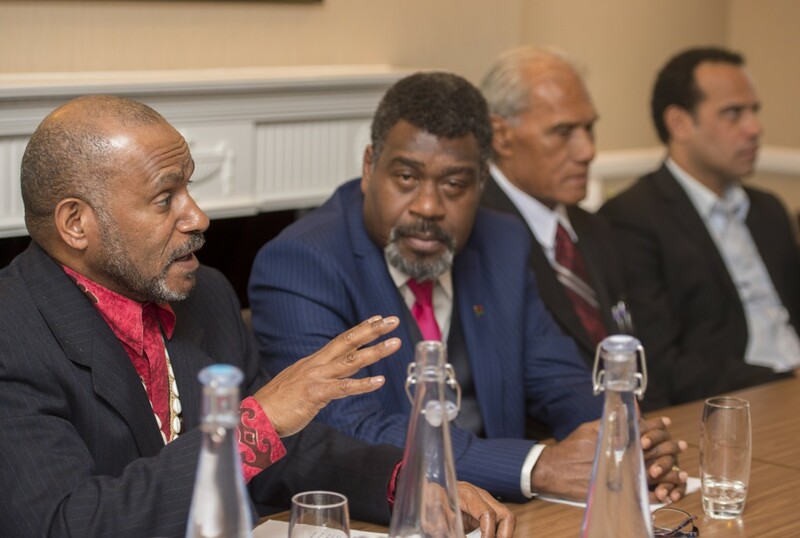 On 3rd May an historic meeting took place in Westminster where political leaders from around the world signed a declaration calling for an internationally supervised vote on independence in West Papua. The meeting gained press coverage around the world and momentum for the new declaration continues to grow. 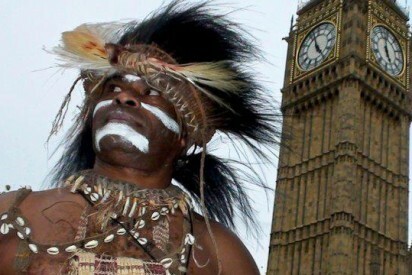 Immediately following the meeting, Benny Wenda set off on a tour of Australia building further support for the declaration from politicians around the country. He met with Adelaide MP Frances Bedford, Adelaide Senator Robert Simms, Western Australia Senator Scott Ludlam and Former Minister for International Development (AusAID), Federal Labor Member for Fremantle and former United Nations Lawyer Melissa Parke MP who have all declared their support for West Papua’s right to self-determination. 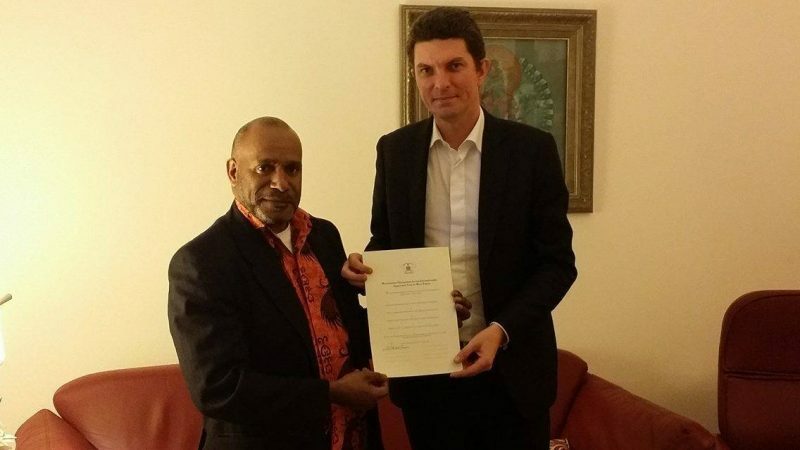 Benny Wenda meeting with Western Australia Senator Scott Ludlam who signed the new Westminster Declaration for an Internationally Supervised Vote in West Papua. At the same time as the meeting in London, a motion was put to the New Zealand parliament to support the call being made in London. The motion was unfortunately blocked but showed the growing support of MPs in New Zealand and helped to raise awareness of the meeting there. Significant support also came from two other sources at the London meeting. The Rt. Hon Jeremy Corbyn MP Leader of the Official UK Opposition party gave his full support for West Papuans to be able to choose their own future and in addition Co-Founder of ILWP, Melinda Janki spoke on behalf of the Prime Minister of Guyana, Moses Nagamootoo offering his country’s ongoing support for the right to self-determination of the people of West Papua. The significance of the meeting sent shock waves through the Government in Jakarta, who immediately attempted a damage limitation exercise by sending delegates (including a former army general from the notoriously brutal Kopassus regiment) to the UK to attempt to talk to British MPs involved in the meeting. An article published in the Huffinton Post claimed to be written ‘on behalf of Indonesain people living in the UK’ and was directed at Jeremy Corbyn claiming that his statement had ‘hurt the feeling of … Indonesians’ and that West Papuans should have nothing to complain about as they were allowed to vote every 5 years in the Indonesian elections. This article was quickly rebuffed by a piece appearing in the Jakarta Post written by an Indonesian lawyer working with the Jakarta Legal Aid Institute. The Jakarta Post article pointed out how the 2,109 West Papuans arrested for demonstrating in support of the London meeting was over the double the number that Indonesia forced to vote in the notorious ‘Act of Free Choice’ which they claim legitimised the handing of power over to Indonesia. In addition to this, Benny Wenda published a further article in the Huffington Post providing a clear picture of the reality of life in West Papua and why the call for an internationally supervised vote is the right and just thing to do. Further rapid developments following the meeting include Vanuatu Foreign Minister, Bruno Leingkon, calling for ‘unity within countries and people who are in support of West Papua’s right to self determination’ and Prime Minister Manasseh Sogavare of the Solomon Islands calling for West Papua to be granted full membership of the Melanesian Spearhead Group (MSG) at the upcoming MSG meeting.